Imagine a city which derives its own energy from its own waste – both electricity and transport fuel. 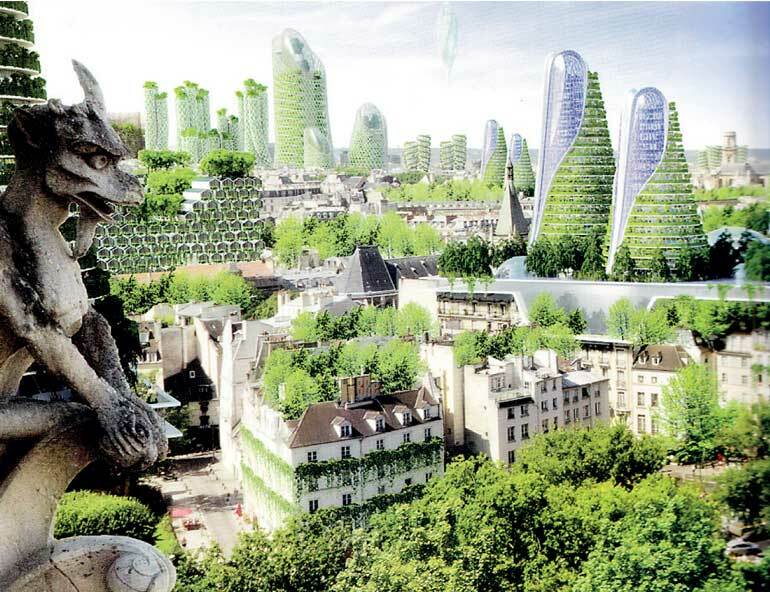 Think about the importance of green cover to a city – the days of concrete as the soul of a city perhaps is now changing. Imagine high rise blocks full of citizens and netizens whose buildings contribute to the urban air quality rather than contributing against it. Waste from living is no more an issue as that has become the vital ingredient for the energy generation. A city where the macro organisms and microorganisms live in perpetual harmony as the latter has suddenly becomes a key service provider to the city’s new circular economy. Citizens would not be craving for more and more but live with the virtues of sustainable living! Is this a dream? I do not think so. Yes it is a dream if you are stuck with conventional thinking and a fixed mindset conditioned by limited vision and knowledge and also for those who will enjoy business as usual and disregard climate change. Biogas or anaerobic digestion as the process is known has to play a key role in bringing this change. I moved the argument for biogas technology for the organic fraction of the municipal solid waste option for Colombo in my last column. In addition I further indicated that the waste generated in Colombo should be managed in Colombo. It is quite important that all citizens join hands in assuring waste segregation. Consider the current situation in Colombo. All those who are living and commuting to the city generate a significant quantity of waste. The collection of which has improved means more waste is received at dumping sites than before. The usually flat landscape is provided with vertical garbage mountains and these hillocks are becoming an issue. The sewage of the masses is connected to a sewer network only for part of the city and it is less than 50% that is covered. The rest depend on septic tanks and percolation. When the load increases the usual overflow can happen and a gully bowser fleet is available although their disposal destination for the collected septage and sludge is usually not spelt out clearly. It is said that when a gully bowser is illegally discharged to a canal or a flowing river at night time it is like discharging 5,000 toilets at one go! The treatment that we give to our river water prior to drinking is a primary treatment system with chlorination. The sanitary sewer discharges to the Indian Ocean from two points of the city – Wellawatte and Muttwal. No treatment of the collected sewage is carried out and it is a fast food outlet for the fish in the Indian Ocean. Of course the discharge is not very much into the sea and the currents can enable beaches receiving a fair dose of our own waste content suitably diluted and salted. As people discharges everything including tube lights and CFL bulbs with the solid waste, a significant stream of mercury should have entered the urban environment and the surrounding seas over the years. Several other complex wastes too hit the ground as hazardous waste management is in need of attention too. This is not a picture worth watching no supporting as we dream of the new metro Colombo! An integrated scheme of solid waste management is a must. The onus is not only with the State but with the people too. Sadly some are quite keen on burning the whole lot away but they miss the point that we will collectively breathe something much nastier than the original matter. When will we factor in science for our decision making or at least allow the views to be aired? Do not forget that diesel fumes today are declared by the WHO to be carcinogenic and air pollution is a leading cause of death. The fact may be no one really states air pollution as the cause of death in the death certificate! Colombo today is benefitted by being a coastal city as most of the sins get moved away. Removing the incineration option as unsuitable, anaerobic digestion is the technical process most suitable to manage the organic fraction; the rest interestingly being taken care of by various recycling options. A limited landfill capability too is needed. It is interesting that there had been many proposals to solve the solid waste issue of Colombo. Each one of these offers was to be the solution that the Colombo had been waiting for! All most all proponents appear to believe that their process is just what the doctor ordered for the City of Colombo. Many proposals even resulted in detailed environmental impact assessments. Almost all the EIA studies resulted in conditional approval being granted to the project proponents. The Government also established quite a favourable payment terms for electricity generated from using waste as a resource. The waste to energy tariff is still one of the best. What is interesting to note today is none of these projects got off the ground while the solid waste generation continued to expand as with population along with the increasing number of migrating to Colombo from outside for work, increase of all types of activities, etc. While many may be aware of the reasons for these failures to execute, neither a detailed analysis nor a review is available. This has resulted in many more proposals coming in of similar nature and valuable time and energy lost. The whole world appears to be interested in solving the solid waste issue in Colombo for us. Yet, a deeper analysis may yield a completely different picture. There is no question that the identification of a solid waste treatment technique has taken far too long. In the absence of such a viewpoint, all proposals have the ability to pick on the process by themselves. Waste to energy via the thermal route had been the popular choice and some exotic process schemes have been suggested for Colombo. Implementing some of these solutions will mean not removing the paper and plastic fraction from the generated waste but the concept of 3R – reduce, reuse and recycle – is the stated strategy for solid waste management. Even with plastic and paper in our solid waste, it has a higher content of organic waste and significant quantity of moisture. The wetness and the higher organic fraction points to biochemical route of waste management. All sewage and sludge should come into this process as well. This would add some needed ingredients to make the biochemical process more sustainable. Further many other organic waste streams can be directed to this process, thus enabling co-digestion and a better gas generation via biogas, which results in more power and energy. In some countries and in the European Union, biogas is processed to serve as a transport fuel. This process was demonstrated at the University of Moratuwa by driving a three wheeler from biogas generated through bio waste including that of the university canteen (http://www.ft.lk/article/23871/Our-waste-for-our-energy). This points to gas being utilised as a transport fuel and Colombo can aspire to have service stations with biomethane. The technology needs to suit the scale required. Sri Lanka has experienced biogas installations including in Colombo, however we have failed by scaling up the low-end technology scheme and paid the price of people remembering the failures forever! At Pattiyapola down south, Sri Lanka had the first renewable energy driven village of the world with UN funding. Electricity was supplied to the village including street lights. The biogas was derived from the digestion of cow dung. Though the CEB did drive the project, we do not witness any learning from that experience being applied today. Yes, biogas-based systems are much more suitable as decentralised systems and perhaps this experience was out of step with the times. However, the needs and the technologies are changing and with smart grids, decentralised systems, fuel cells and sustainable city concepts along with climate change pressures, the ground situation is changing rapidly. Hence the need to understand the needs of the future and the emerging directions being factored into decision making. While in Sweden there are examples of trains being run with biogas derived from organic solid and liquid wastes of the city dwellers, we are planning to have trains using expensive fossil fuels to take care of the city waste by transporting them far away. This is certainly not innovative thinking as we appear to have understood our priorities in a very simple manner – keeping the city clean somehow! The need of the hour is to demonstrate that Colombo is doing things differently in a way that the future wants and admires.